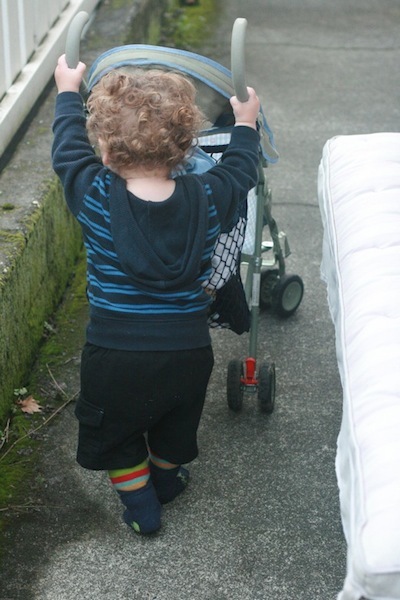 This week we asked: What do first steps look like? Moira was an early walker, and Davis seems set to keep up with her. Sometimes it helps to have something to hold onto while you practice walking. 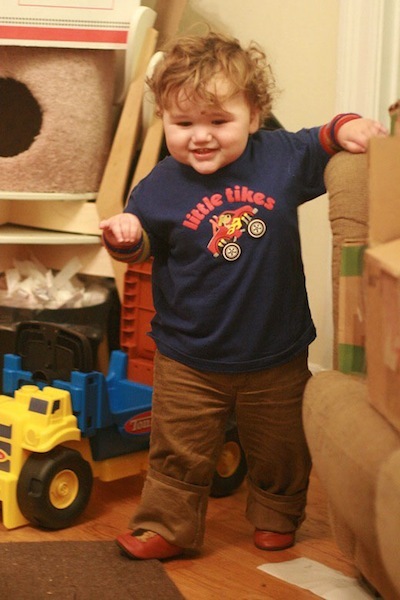 When Mikko mastered walking at 17 months, he was so excited that he would do laps around the house all day! 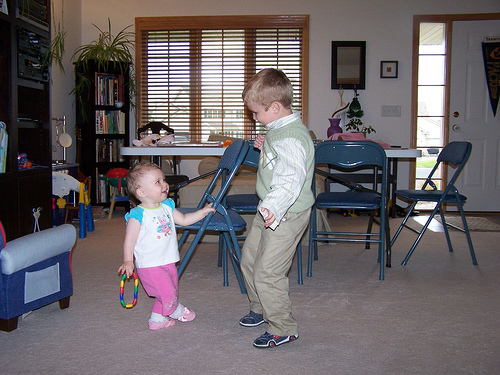 Here, Rachel takes her very first steps dancing with her big cousin. What a joyful moment! 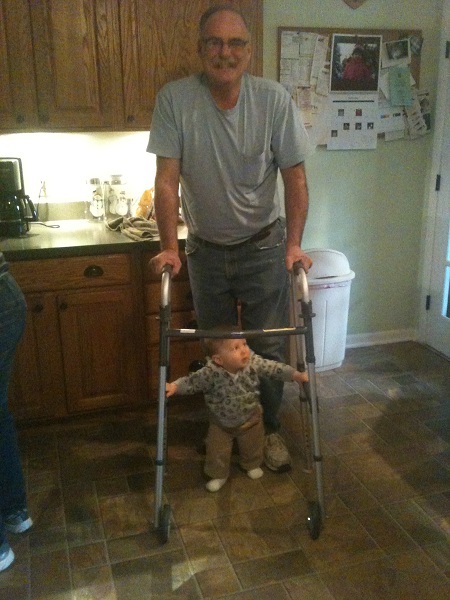 Little Man helped his Grandpa with his first steps after hip replacement surgery. Shannon blogs at The Artful Mama. 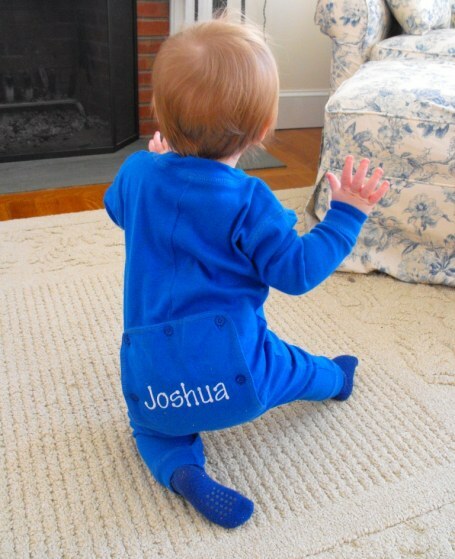 Joshua didn’t start walking until he was about 15 months old, but that wasn’t for lack of trying! 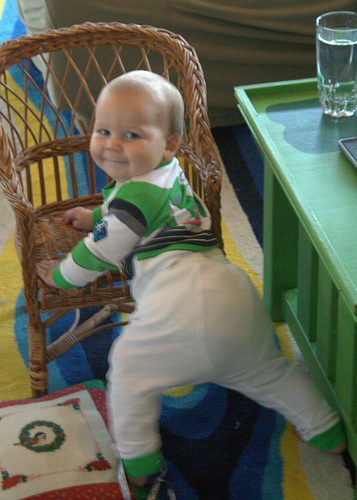 See his adventures at his mom’s blog, Farmer’s Daughter. 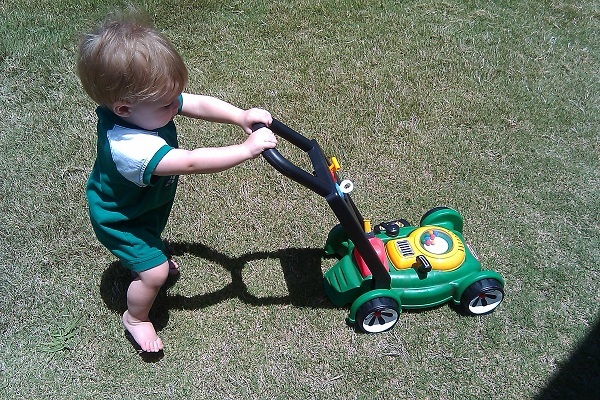 hands on to help him transition from cruising to walking! Tyler practiced her first steps with anyone willing to assist her! Tyler’s mom blogs at Momma Jorje. 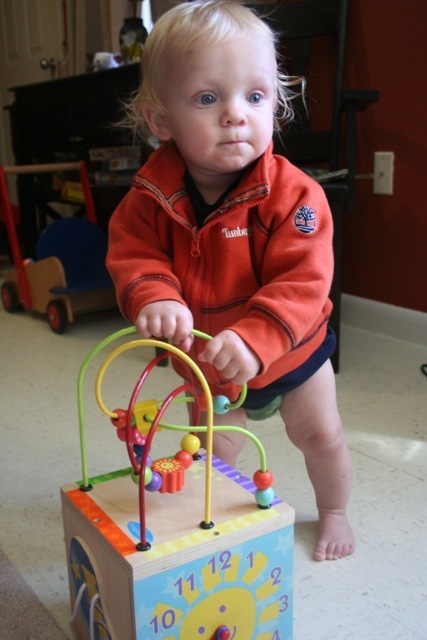 Tell us: What do first steps look like in your family? These are all great captures of amazing moments, but Little Man helping Grandpa is my absolute favorite! So sweet!! Oh, cute! 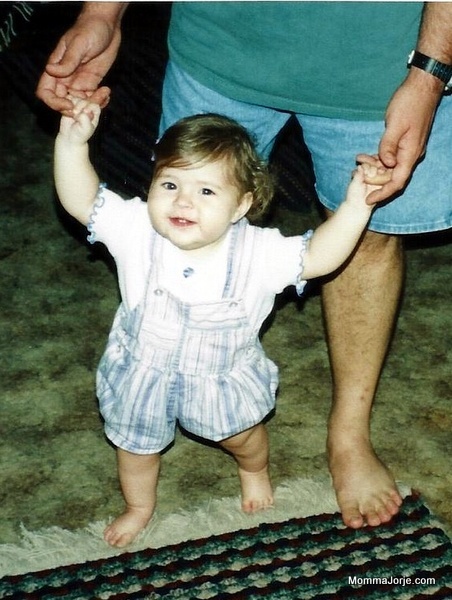 I wish I had known about this theme, I have the most darling picture of Michael right after he learned to walk.